The club hails from Scotland's two highest villages, Wanlockhead and Leadhills, which boast some of Scotland's oldest Curling and Skiing heritage. We operate on a membership basis, which is open to all. To use the club's ski tows and clubhouse you must be a member of the Lowther Hills Ski Club. Join now. We aim to provide skiing for about 20 days per season, whenever weather conditions are favourable and volunteers available, mainly during weekends and school holidays. 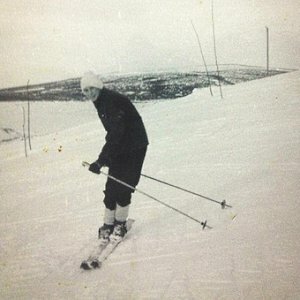 The Lowther Hills Ski Club operates two skiing areas: a nursery area in the village of Leadhills, and an area for intermediates on Lowther Hill which is accessed from Wanlockhead. 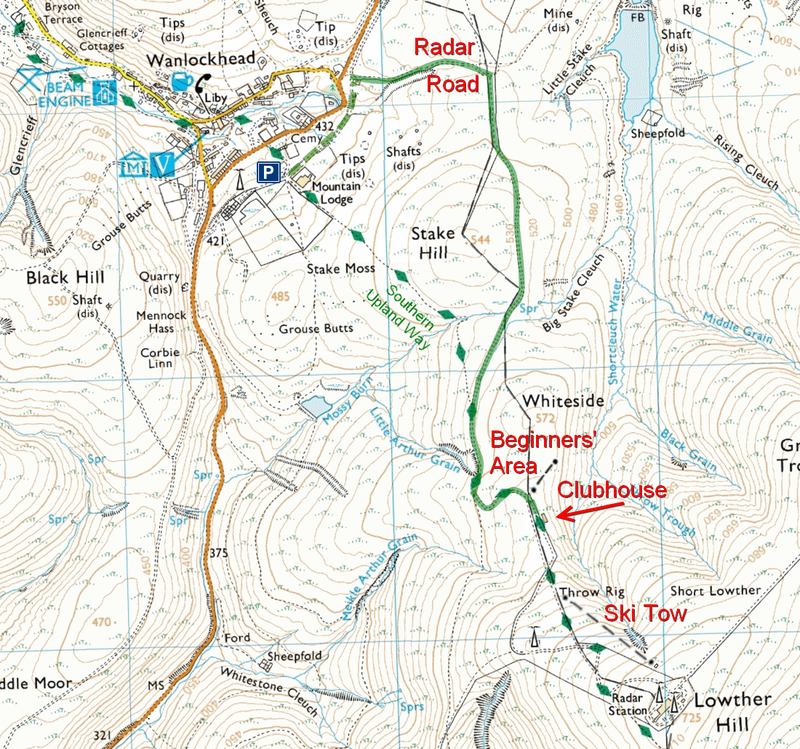 The Lowther Hill area has a clubhouse and a 400 metre-long ski tow for intermediate skiers. Don't forget to follow us in Facebook, and subscribe to our Newsletter to make sure you don't miss a thing about this exciting development for snowsports in the South of Scotland. Coming from the North (Edinburgh, Glasgow, Lanark, Central Belt), head for Abington (Junction 13 on the on the M74) and take the B797 road to Leadhills / Wanlockhead. If you are coming from Dumfries, the safest route in wintry conditions is via the A701 and M74. Exit at the Junction 14 in Elvanfoot, follow the B7040 to Leadhills and then the B797 to Wanlockhead. 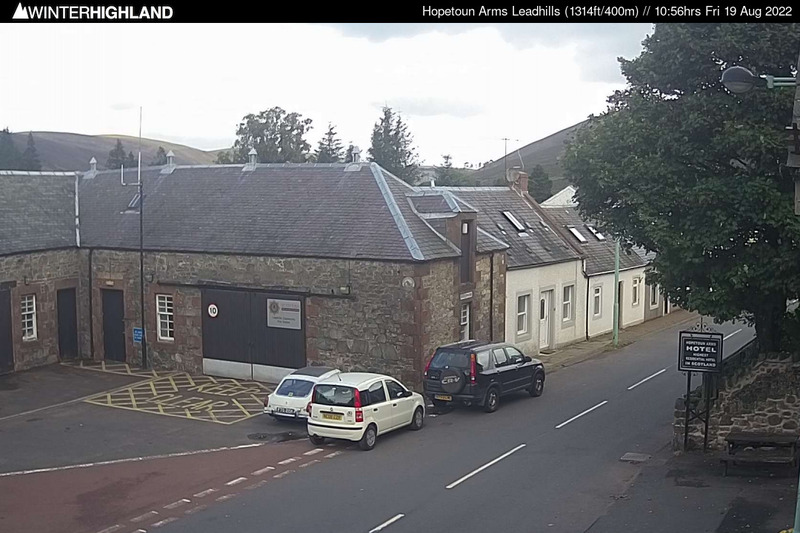 Please park only in the designated car parks in Wanlockhead. Please be considerate and do not leave your car near the cottages in the village. The roads must be kept clear at all times. In order to minimise traffic impact, please try to car share wherever possible. 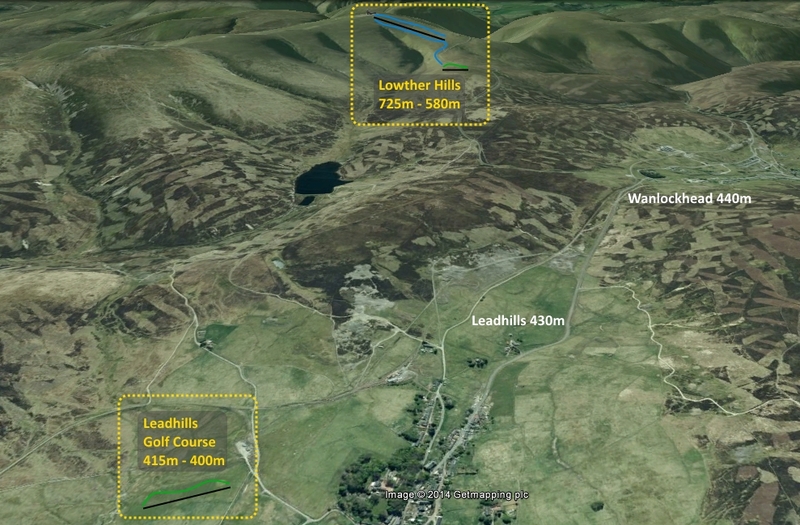 The Club's facilites will be located 1.5 miles (40 minutes walk) from Wanlockhead, on the Lowther Hill Radar Station road (highlighted in green on the map). This is a private road and no public vehicular access is permitted. You will have to walk (or ski) all the way up. Please remember that to be able to use the Club's facilities, you must be a member of the Lowther Hills Ski Club. Check the weather forecast before setting off. 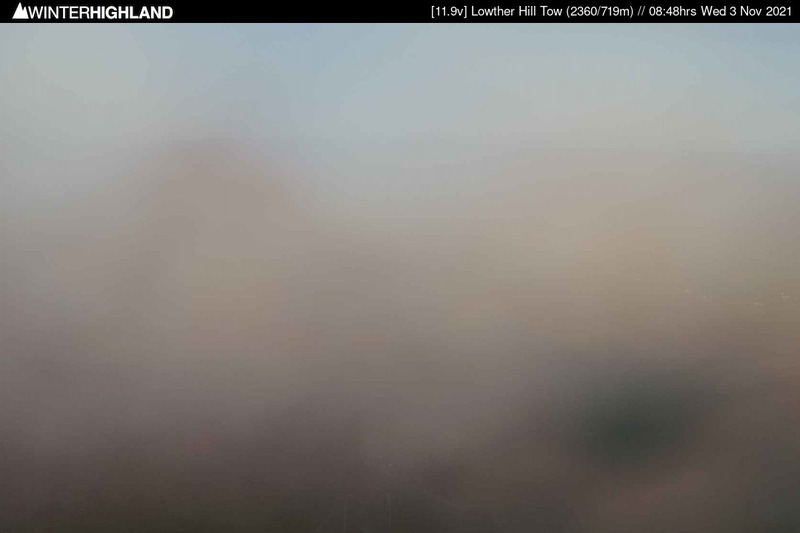 Scotland's mountain weather can be extreme and can change very quickly. Bring bottled drink, snacks, and -most importantly- dress for cold temperatures and be prepared for sudden weather changes.